Jock is very good at his job. He's good at it because he can detach himself, and he has no personal attachments himself. When he takes on the job of protecting Fiona, he doesn't expect to feel so protective or attracted to her. It makes his job more difficult because he can't decide if a relationship with him is a good or bad idea. He knows that he's damaged, but he can't help but want more with Fiona. Fiona has been on the run since she escaped a human trafficking ring. She knew they would find her – they kept finding her and forcing her to move on. When she finally is able to confront some of her past, she will gain her friend back and a whole force of protection. She is wary of Jock at first, but once she sees him and what is underneath his stern exterior, she can't help but fall for him. 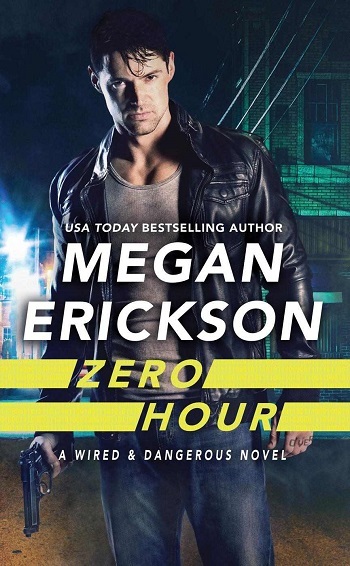 This is a fast-paced story with a lot going on. There are characters who make second appearances, so I suggest that you read the previous book. I really enjoyed the way that Fiona is able to come out of her shell – she is a well-developed character and you get to see her flaws and insecurities. The growth that happens for both characters is well played out and I thought that it was a great story. I can't wait to see who gets the next book. For reviews & more info, check out our Zero Hour post. She lives in Pennsylvania with her very own nerdy husband and two kids. Although rather fun-sized, she’s been told she has a full-sized personality. When Megan isn’t writing, she’s either lounging with her two cats, named after John Hughes, characters or... thinking about writing. 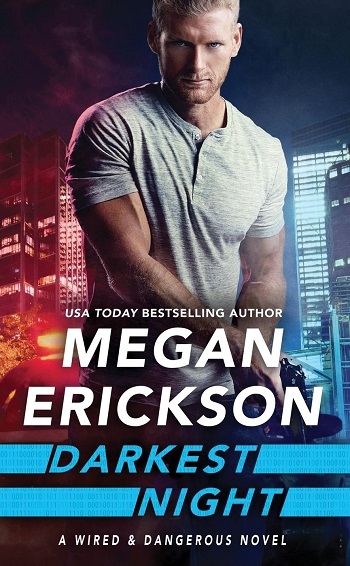 Reviewers on the Wicked Reads Review Team were provided a free copy of Darkest Night (Wired & Dangerous #2) by Megan Erickson to read and review.